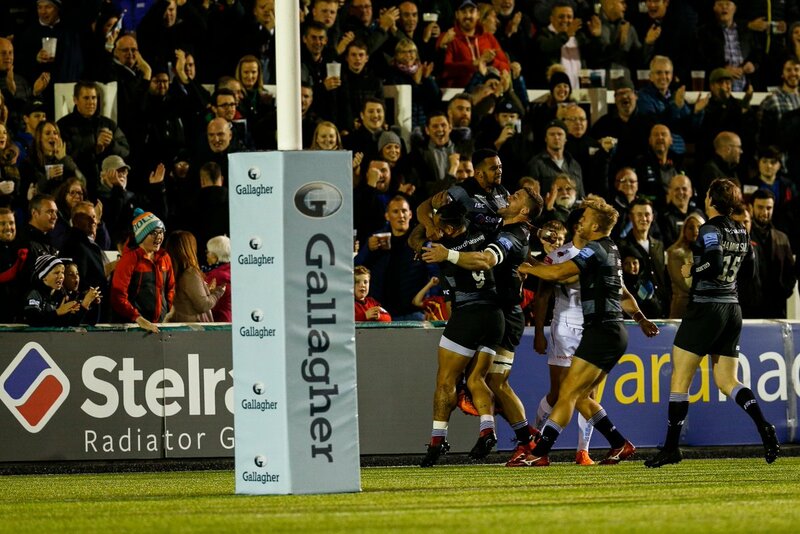 Exeter continued their winning beginning by beating Newcastle 17-24 at Kingston Park. Having conceded first to young winger Zach Kibirige, Exeter bounced back twice through Sam Simmonds, before eventually pulling away in the closing stages. After replacing Alex Tait in the matchday squad after the winger’s late withdrawal, Zach Kibirige opened the scoring with a dazzling piece of footwork. Breaking the line courtesy of Johnny Williams’ impressive offload, Kibirige bamboozled his way past Joe Simmonds and sprinted under the posts. Kibirige signed his first professional contract with Newcastle in 2012, but was only making his third Premiership appearance. If the young flyer can continue the form he showed tonight, Kibirige will have an extensive part to play in the coming months with the Falcons’ added pressure of top-tier European rugby. Immediately after Kibirige’s try, Exeter were level. Newcastle couldn’t deal with a hanging restart from Henry Slade, and were soon watching Sam Simmonds barrel over for his third try this season. Simmonds has a fortunate knack for scoring tries, and he went over for his second of the game from the back of a powerful Exeter driving maul. Despite their seven point deficit, Newcastle were proving to be encouragingly competitive, with Toby Flood controlling proceedings admirably from fly-half. Exeter are notorious for taking advantage when they venture into opposition territory, but Newcastle were struggling to do the same. First, George McGuigan’s line-out throw was intercepted only metres from the line, before Toby Flood dropped the ball just short of entering the 22. The Chiefs themselves were finding it difficult to put points on the board, though they could only blame their own decision making after turning down three simple kicks at goal. It’s a tactic that has worked well for Exeter thus far this season, with none of their 117 points in the three previous matches coming from penalty kicks. 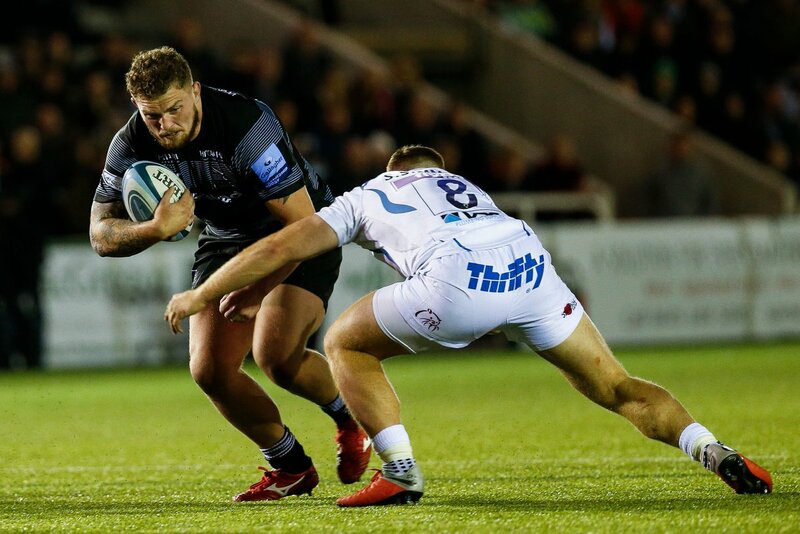 But Newcastle’s belligerent defence was paying off, and Joe Simmonds was forced to opt for the three points, extending Exeter’s lead to seven. Their lead wouldn’t last for long, as Johnny Williams flopped over to level the scores once more, but Newcastle were also unable to retain their new-found dominance, allowing Dave Ewers to score after numerous Exeter phases of pressure. Without a fly-half after Toby Flood’s yellow card, Newcastle were always hard-pressed to come back into the game, but they were willing to settle for a losing bonus point against the 2016/17 Champions. Exeter’s wider squad has often been viewed as inferior to their close competitors’, but Rob Baxter clearly trusts his lesser-known troops, making 13 changes for their last two games. Newcastle have endured a difficult start to the season in winning only one of their four opening games, but there were more positive signs in this close defeat. Nevertheless, Newcastle could be bottom of the table after Saturday’s fixtures, and with a difficult game against Wasps next week, Dean Richards will be looking over his shoulder at the teams below.